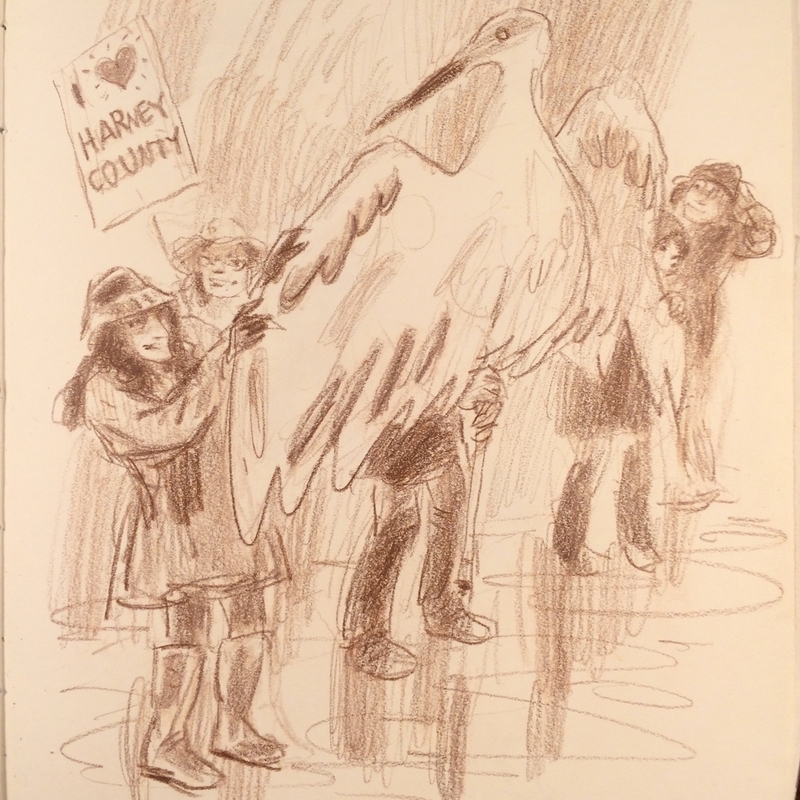 Visitors from Harney county joined hundreds of Portlanders at a rally for Malheur Wildlife Refuge today. The crowd filled Holladay Park in NE Portland, gave speeches, chanted ("Birds not bullies", "Throw the bums in jail"), then marched to a nearby federal building to show solidarity with federal workers. The Audubon Society and Bark helped organize the event. Bark showed up with a giant shiny crane puppet. You bet your ever-loving Woody Guthrie eye-tooth we're here to keep public lands public.